Dentistry is more than just teeth, it is about helping people with kindness and consideration, and guiding each person to a healthier, happier life. Unhealthy risks are lurking between your teeth, so try Flossing for Life! Flossing may protect your heart, reduce the risk of breast cancer, cardiovascular disease, atherosclerosis, elevated cholesterol, alzheimers, type 2 diabetes, stroke, rheumatoid arthritis, (COPD) and pneumonia. Studies show that severe gum disease correlates with a dramatic increase in breast cancer. Flossing daily, along with regular professional cleanings helps prevent gum disease. Without regular flossing, your mouth and body can really suffer. Bacterial film (or plaque) accumulates on neglected teeth below the gum line. Gums become irritated and bleed and breath starts to smell bad. After a day or two plaque hardens into deposits, called tartar, that make it easier for more plaque to build up. Eventually, lack of flossing can lead to gingivitis, periodontal disease, and tooth loss. Fewer teeth lead to facial wrinkles and an aged appearance. Flossing may protect your heart. Research has shown that periodontitis produces twice the risk of cardiovascular disease and elevated cholesterol. Flossing may protect your arteries. Researchers also speculate that bacteria from the mouth may enter the bloodstream and contribute to inflammation and artery clogging. Flossing may reduce your risk of diabetes and its complications. Periodontal disease appears to make insulin resistance worse. Increases in blood insulin and blood sugar increase the development of type 2 diabetes. Flossing may reduce your risk of stroke and rheumatoid arthritis. Flossing may reduce the risk for respiratory infections, such as chronic obstructive pulmonary disease (COPD) and pneumonia. Slide the floss under your gum line and to gently curl it around each tooth as you floss. Floss gently, but don't quit because your gums bleed Eventually, they will bleed less with regular flossing. Use fresh floss for each tooth juncture. Flossing may protect your heart, and reduce the risk of breast cancer, cardiovascular disease, atherosclerosis, elevated cholesterol, alzheimers, type 2 diabetes, stroke, rheumatoid arthritis, and respiratory infections such as chronic obstructive pulmonary disease (COPD) and pneumonia. Flossing may reduce your risk of diabetes and its complications as well, because periodontal disease appears to make insulin resistance worse. Remember to try Flossing for Life, for your health and beauty. Flossing for Life was started by Dr. Robert Korwin to raise awareness about recent research, which shows that you can help prevent breast cancer and other diseases with a practically free and easy home care dental cleaning routine that is tremendously effective yet takes only a minute. New studies show that bacteria in the mouth have the power to produce serious health problems. A recent study at the Nobel Prize in Medicine associated Karolinska Institute shows gum disease has a statistical relationship with breast cancer occurrence. They found that women with gum disease and tooth loss had an 1100% greater incidence of breast cancer! Simple daily flossing can clean away the bacteria around the teeth which cause an inflammatory reaction that have an effect throughout the body. Gum disease caused by bacteria results in loss of teeth and bone in the mouth causing wrinkles and an aged facial appearance. Gum disease increases the risk in the body of cardiovascular disease, elevated cholesterol, artery clogging atherosclerosis, increases the development of type 2 diabetes, stroke, rheumatoid arthritis, respiratory infections such as chronic obstructive pulmonary disease (COPD) and pneumonia. Flossing has the remarkable ability to prevent these problems successfully from home. Brush and floss properly every day. See a dental professional for cleaning at least two to four times per year and review your flossing techniques when there. 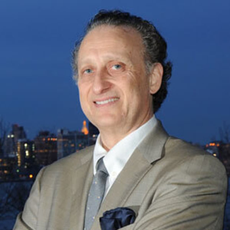 Robert Korwin DMD, MICOI, MAGD is an award-winning expert in dentistry who has served the Middletown-Red Bank-Monmouth County New Jersey area for over 28 years. His practice offers a full range of general, reconstructive, cosmetic, implant and orthodontic dental procedures with an emphasis on patient comfort. Offering “Advanced Dentistry with a Gentle Touch,” including sedation dentistry, the practice works with individuals to maximize their dental health, ensures their comfort and minimizes financial concerns. For more information, visit www.drkorwin.com or call (732) 219-8900.